Friends of the Library Book Sale Tent at a bygone Heath Fair. Look for it again next year at the 101st Anniversary Heath Fair, in August 2018. The Friends are a 501(c)(3) tax-exempt, nonprofit corporation. Donations made to the Friends are tax-deductible to the extent allowed by law. The Friends have two bake sales every year, one on the Saturday of Memorial; Day weekend, and one on the Saturday of Columbus Day weekend. 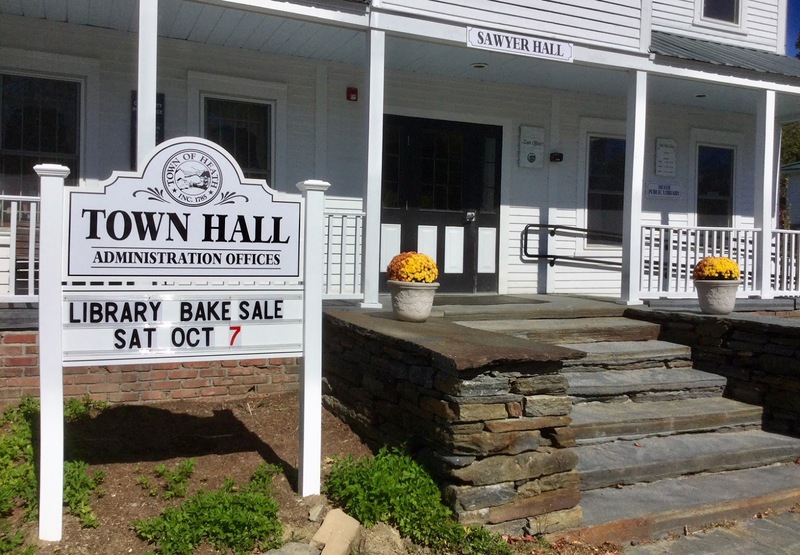 Heath bakers are famous for the quality of their baked goods, and they love to show off their best for these bake sales! 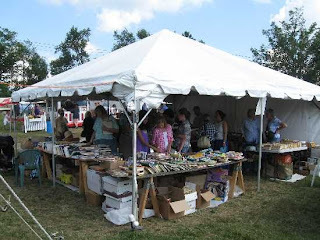 The Friends also have a book sale at the Heath Fair every year in August.